Apple announced a new line of MacBook Pro laptops on Thursday. The biggest new feature on these redesigned computers is a new kind of keyboard with an integrated touchscreen strip that replaces the traditional function keys called Touch Bar. "The Mac is so incredibly important to us," Apple CEO Tim Cook said at a media event held at Apple's Cupertino, California headquarters. This story is updating as we learn more. Click here to refresh the page. 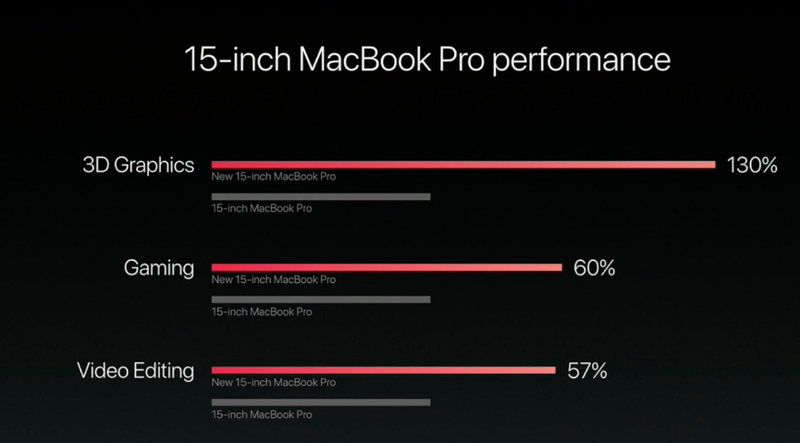 AppleThe new MacBook Pro comes in 13-inch and 15-inch sizes. Both computers are equipped with four Thunderbolt ports that use the USB-C connector. Any of the four USB ports can charge the computer. Both laptops are equipped with a headphone jack, too. 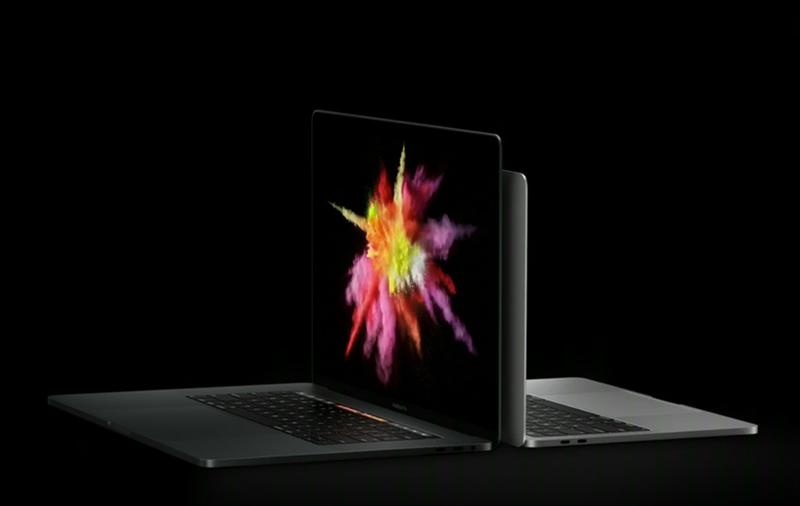 Both versions are thinner than Apple's old MacBook Pro. The 15-inch model weighs 4 pounds. Both versions have a bigger trackpad that's twice as large as before. The keyboard has also been redesigned to be thinner. 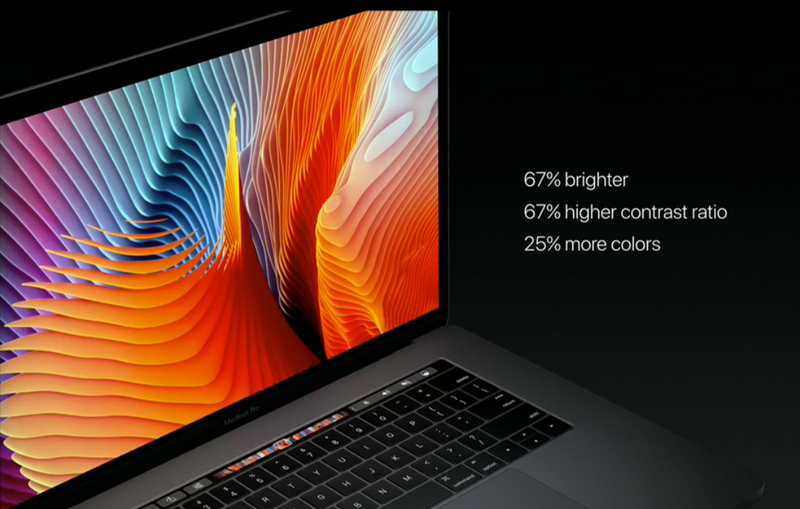 Apple says the new MacBook Pro screen is 67% brigher and has 25% more colors. Powering the 15-inch MacBook Pro is a Intel i7 processor with 2133MHz of memory and a Radeon Pro GPU with Polaris architecture. 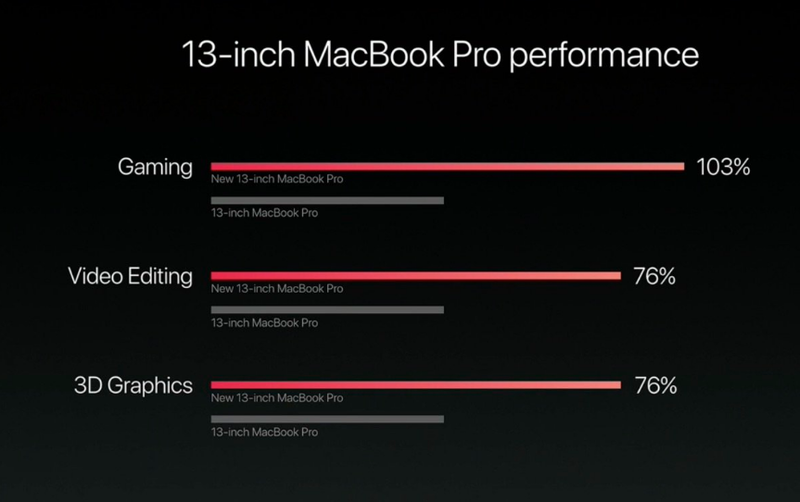 Apple says the graphics are 2.3 times faster than the last MacBook Pro. Powering the 13-inch MacBook Pro is an Intel Core i5 or i7 processor. It's equipped with Intel's Iris Graphics, which is 2 times faster than the old 13-inch MacBook Pro. The new touchscreen part of the keyboard is called Touch Bar. It changes and adapts to whatever software the user is using at the time. For example, if you're in Safari, you'll see shortcuts. Otherwise, it can adjust volume and brightness. 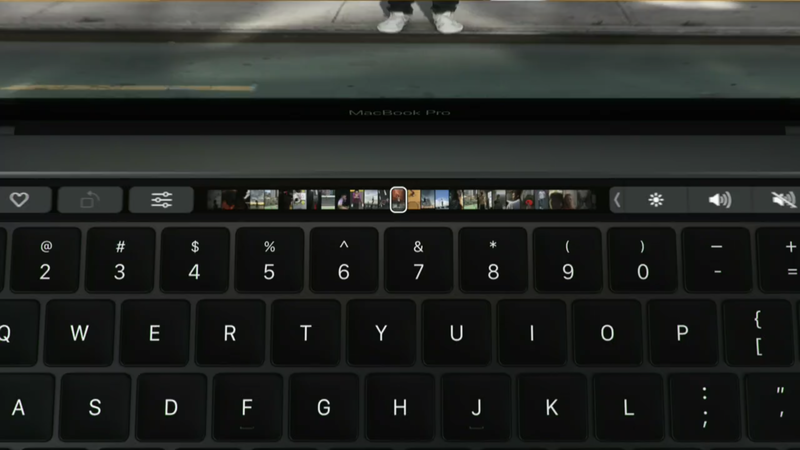 Apple demoed Photos integration with Touch Bar. It can scroll through photos, apply filters, and make some edits. As you're typing, Touch Bar can also show quick type suggestions, or emoji, like the iPhone keyboard does. 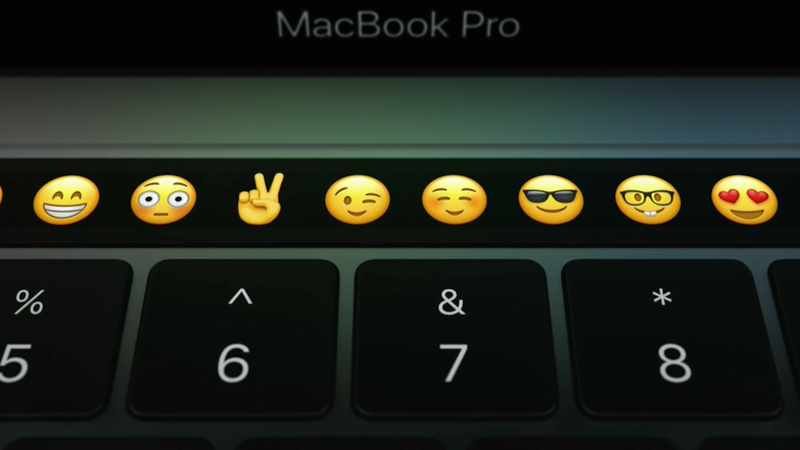 Touch Bar is also integrated with XCode, Apple's software for coders. 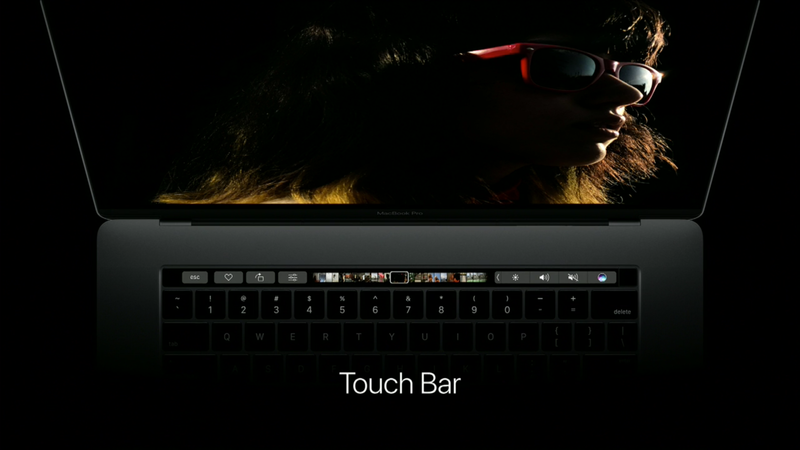 Touch Bar is powered by a new chip that Apple is calling T1. 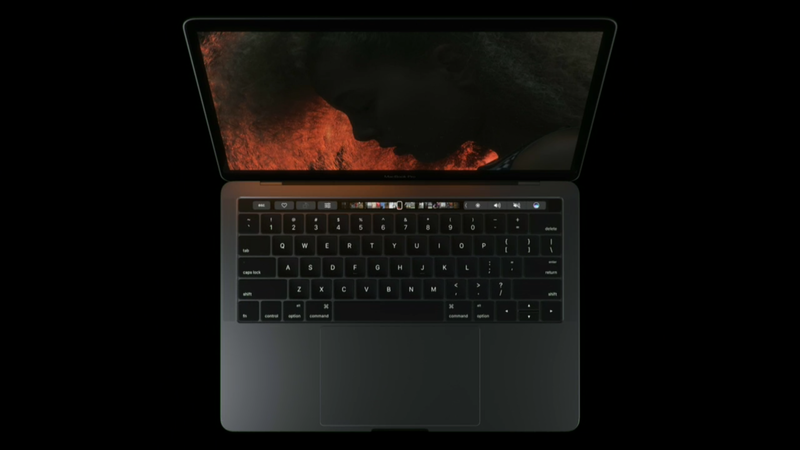 There is also a TouchID fingerprint reader integrated into the Touch Bar, which enables purchases with your fingerprint, and presumably, will lock your laptop in addition to a password. It doubles as the on and off switch for the laptop. Some third-party apps will be able to display custom shortcuts on Touch Bar. Apple demoed a version of Adobe Photoshop that uses the Touch Bar to adjust settings, which will be released before the end of the year.